A tailors pressing ham is standard in my stitching arsenal. As I say very frequently, pressing is key to professional looking stitch projects and a ham helps you to get to those unreachable places! 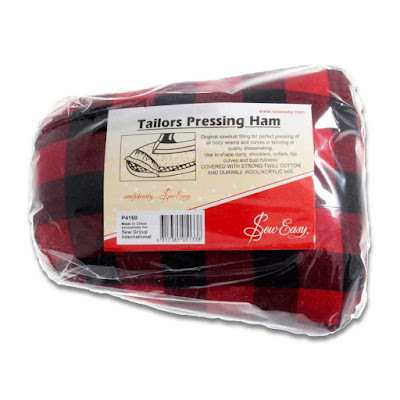 At somewhere between £10 and £15, a tailor's pressing ham is a lightweight purchase. The simple fact is though, that for a tenth of these prices you can easily make your own. There is a tradition of tartan fabric on the top of pressing hams and a heavy duty calico beneath. 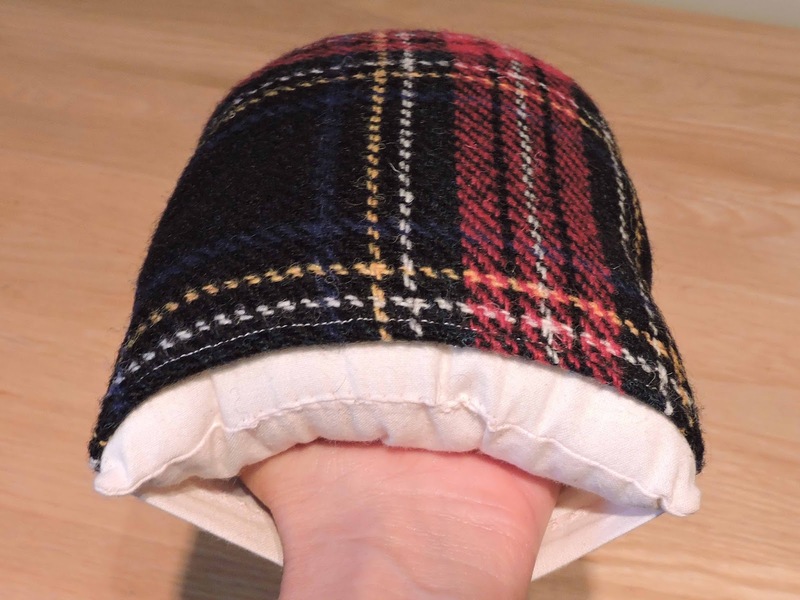 Tartan fabric is good with me, although there's no reason I can see why other fabrics can't be used. My only advice is to select something durable with a flat weave. Personally I think modern cottons are a bit thin and furnishing fabrics sometimes have a dense weave that might imprint onto that which is being pressed. 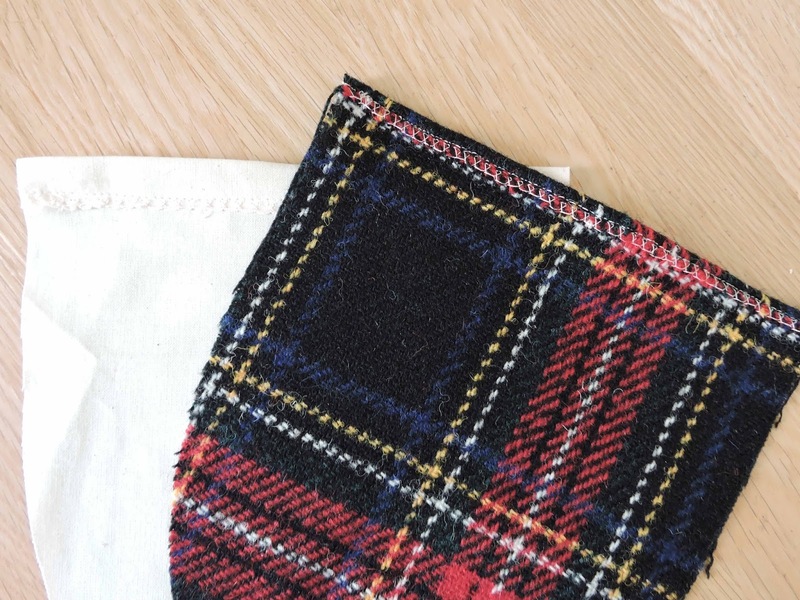 I have lots of Harris Tweed pieces from purchases from my favourite Somerset supplier Handmaiden so it was traditional tartan for me. 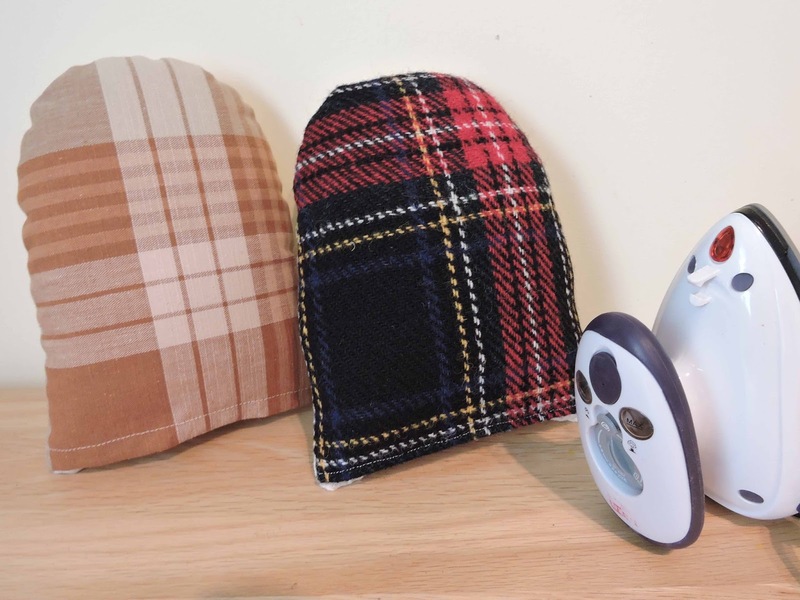 I cut 4 pieces from my pattern - 3 in a heavy duty calico and 1 in Harris Tweed. To download the pattern click here. To start stitching, I overlocked the straight edge of the Harris Tweed piece and one of the calico pieces - a zigzag stitch would also do nicely. 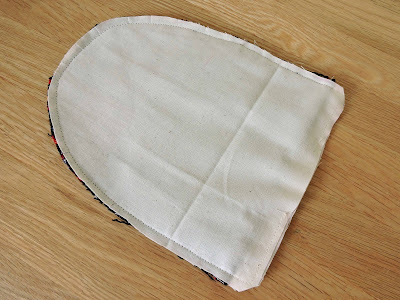 I then folded over a 1.5cm single hem on both pieces and stitched down with a straight stitch. Bear with me on this construction if it seems a bit strange. Next I placed the 2 pieces I had neatened the edge on right sides together and then the 2 remaining calico pieces on top - one either side. I then stitched a scant seam all the way around leaving an opening of 5cm or so in the bottom for turning. The partial seam along the bottom must be beneath the inner pieces where there is a hem on the bottom. The last bit was to turn the construction right ways out and to fill with as much stuffing as I could get inside. 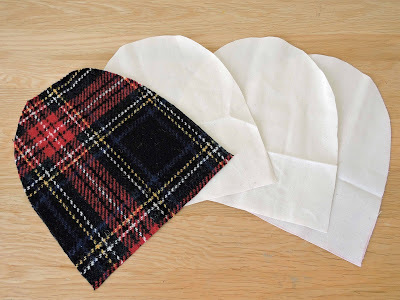 Polyester stuffing or scraps of wadding from quilting projects is equally good. Whatever your choice, just keep stuffing until you think the seams are about to burst and then stitch the gap closed - a touch fiddly. All in all making 2 hams took me around an hour and will give years of service. If they ever get a bit squashed through use, put somewhere like a warm airing cupboard to puff out again! Oh and if you're wondering about that open seam at the bottom, it's to put your hand into the ham. If like me you have small hands and fingers that don't always grip so well, this is a big plus. And my last comment on this subject is pressing hams make great, if perhaps unusual, gifts for non-stitchers who really do like to get full use out of their iron!